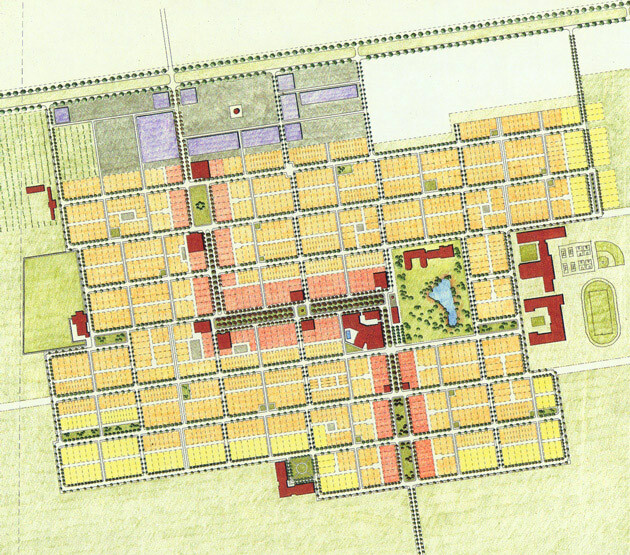 Near El Paso, Texas, Hueco was designed as a New Urbanist town on 450 acres. The form of the 2,000-home town is based on the historic precedent of The Laws of the Indies grid, used extensively by the Spanish in the Southwest. The Plan centers on an alameda at the town center, located within easy walking distance of most residences. 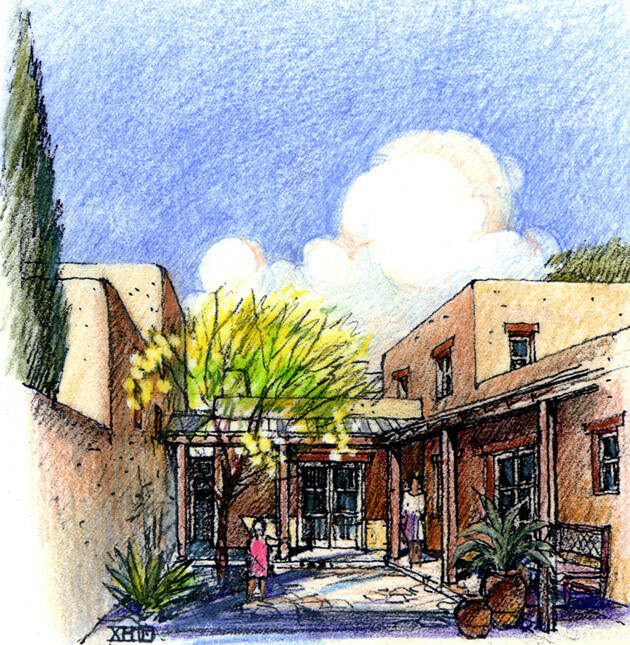 Hueco includes a variety of new civic buildings, including a school, spa, church and a new YWCA. Six different housing types, most oriented north-south, incorporate covered patios, terraces, shaded courts and various passive cooling techniques to respond to their specific orientation in this desert climate. 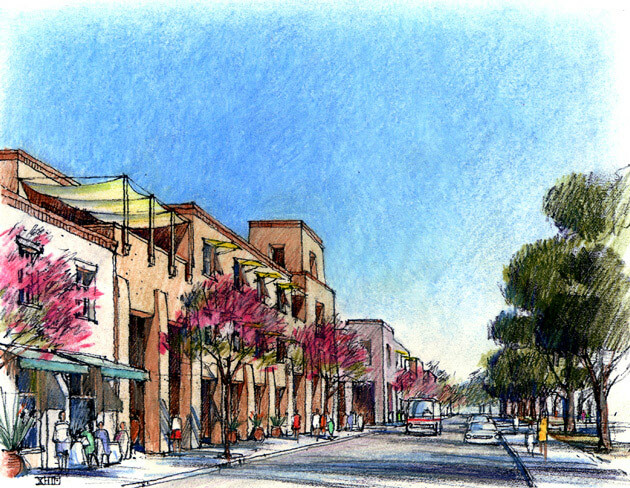 Innovative sustainable design strategies are incorporated into both the town’s open spaces and building design. In collaboration with Duany Plater-Zyberk & Co.
A typical patio house provides privacy on a very small piece of urban land.